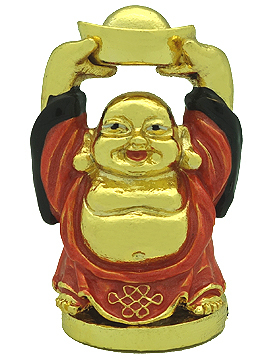 Place this Laughing Buddha facing your main door or in sectors where you like to cure quarrelsome energies. For eg. in 2018, display this Laughing Buddha in the NE to dispel Annual Quarrelsome Star #3. 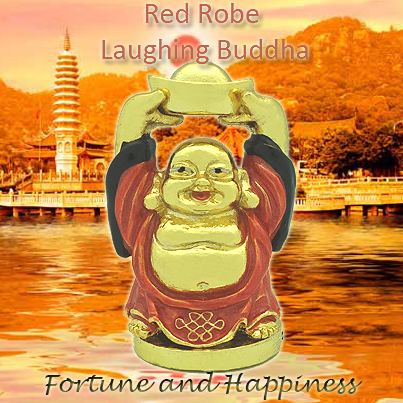 The Laughing Buddha is usually connoted carrying wealth symbols such as large ingots, pots of gold and a "treasure bag", because the powerful Laughing Buddha is very much associated to abundance and wealth luck. He is suppose to bring you unlimited supply of gold to make one happy as imagined by people. He sometimes carries a "wu lou" (gourd) to bring blessings to health and a "ru yi" to signify authority or victory in undertakings. One may also find a Laughing Buddha denoted with children surrounding Him. 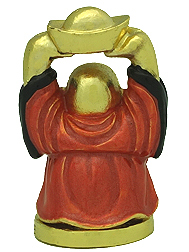 For those who are seeking for descendants luck, the Laughing Buddha also bestows many children into families. A good Laughing Buddha image would have a face that is very smiley to signify fulfillment and joy. 2. 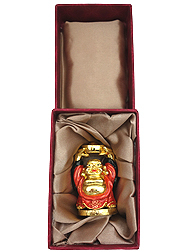 Display him in your personal Sheng Chi direction for your personal growth, wealth, success and good health. 3. 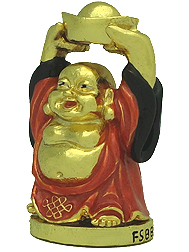 Display him in the southeast sector of your dining, bedroom, reception or living room to enhance your wealth luck or sudden windfall. 4. Bosses and politicians can place in the north of their offices or home for protection against unwanted work related stress and conflicts.He will speed your way towards achieving your happy goals. 5. 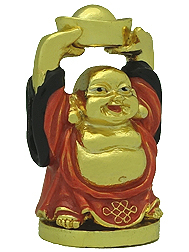 You may also present the Laughing Buddha as a gift for any auspicious celebrations or occations to your loved ones. The symbol is especially useful when presented to those who are facing tremendous bad luck. 7. Display him as a remedy for Quarrelsome Star #3, be it in the natal, .